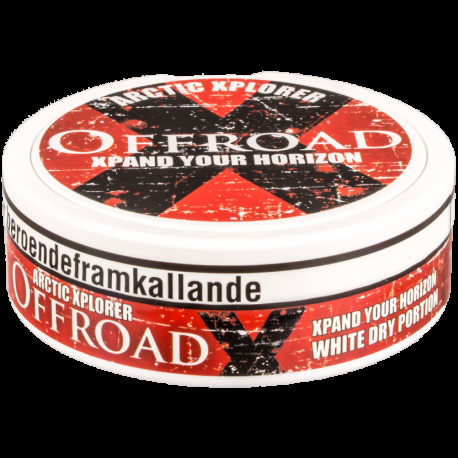 Offroad X White Dry Arctic Explorer - this is something out of the ordinary - the strongest snus ever made when it comes to mg/g! With a nicotine strength of 45 mg/g, it is not for everyone so you have to carefully decide if this Xpedition is for you! 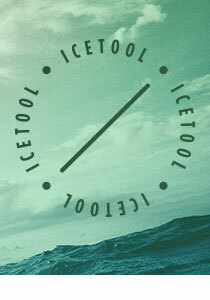 It has a strong and long lasting taste of mint/menthol, but the question is, will you be able to keep it in that long? I was not to happy whith this product,I expected it to be stronger and was hoping for more of a burning sensation do to the amount of nicotine in it. It also started leaking early. Will not be buying this in the future. Bought this for some high nic snus. To me I didn't get much mint though i did get the menthol. Maybe I just got a bad batch but it seemed acidic to me, y'know like after you puke type feel. Platz 2 meiner Favoriten nach dem roten Siberia. Ziemlich stark, der rote siberia feggt einiges mehr und ist besser im geschamck. Absolut faires preis/leistungs verhältnis.